Add muscle tone to your body with this Dumbbell Set. 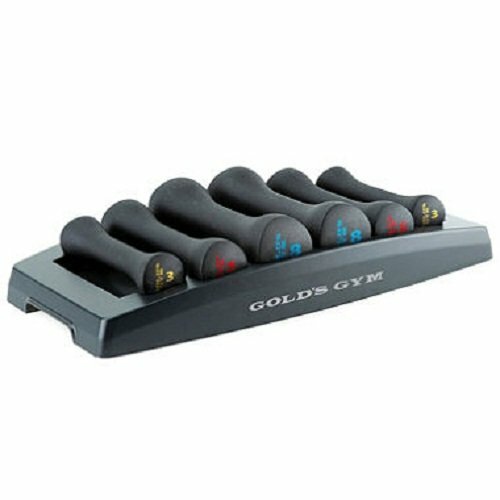 This dumbbell weight set includes one pair of 3 lb dumbbells, one pair of 5 lb weights and one pair of 8 lb weights. All weights are made of neoprene material. You can learn how to properly use the dumbbells with the instructional DVD that is included. You can also use the enclosed exercise chart to keep track of your fitness routine. When you are finished exercising, you can keep the weights on the included storage tray.